Chances are you've seen this image floating around the internet recently. 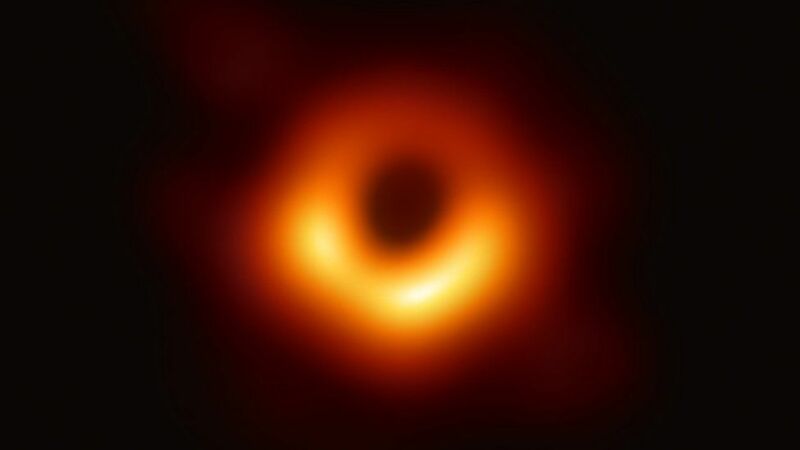 For the first time in human history, scientists have managed to capture a photograph of a black hole approximately 500 million trillion km away from the earth, using a network of eight linked telescopes known as the Event Horizon Telescope. It's a bit blurry and might not be an immediately impressive image, but it's extremely significant in the astronomical world and helps us get one step closer to understanding the universe in which we live. And then artists gave it tiddies. Unless you've been living under a rock your whole life you'll know that nothing is sacred to the internet. Not the Earth, not a polar vortex and certainly not something with an inherently innuendous name like a black hole. So here's Black Hole-Chan, the internet's latest waifu. There have been a few varying depictions of her, but I'll post a few of my favorites. Meme waifus come and go but some, such as Bowsette, tend to stick around for quite some time. I''m hoping Black Hole-Chan stays relevant for the time being because I think black and orange make a pretty cool combo, especially on the variations with darker skin that are bullying Earth-Chan. Hopefully she doesn't die out within a week or two like Polar Vortex-Chan (R.I.P) but even that trend was good while it lasted. What do you think of Black Hole-Chan? Which version is your favorite? Do you think she's here to stay? Drop your thoughts below!